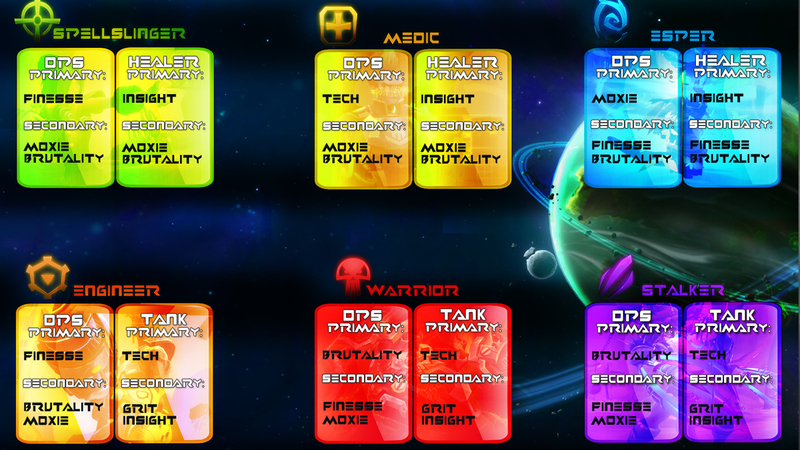 What complicates matters with WildStars attributes system is that each individual class benefits from from these attributes differently. 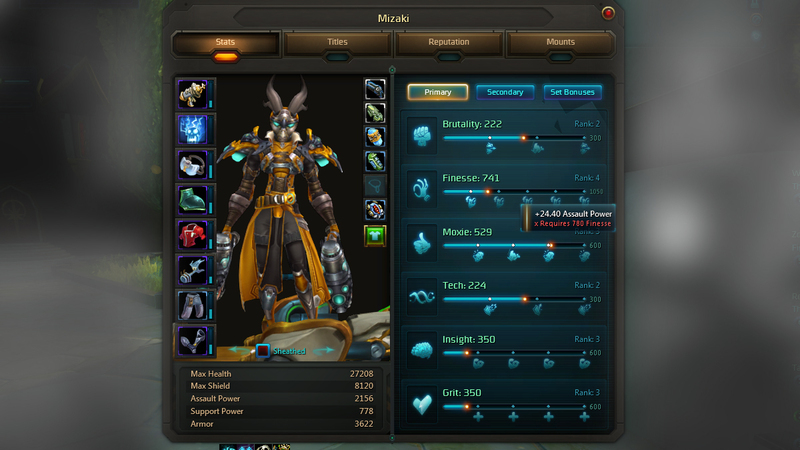 For example, a Spellslinger obtains Strikethrough Rating and Critical Hit Severity Rating from Brutality while a Warrior obtains Assault Power. What this means is that each class, dependant on their role, needs to acquire different primary attributes to maximise their roles potential. The only exception to primary attributes is that all classes gain extra health from Grit. When it comes to each class, their individual attribute setups involve three primary attributes for damage and healing/tanking. All you really need to do is attempt to maximise your primary three based on the role you’re undertaking. It’s worth noting that it’s also in your best interests to attempt to maximise your three primary attributes because you will be rewarded with additional bonuses as you increase your attribute amounts. Milestones are bonuses you receive to your characters base statistics or secondary attributes once you’ve acquired a set amount of Primary Attribute points. As an example in the image below, once I reach X Finesse I’ll be rewarded with an additional +24.40 Finesse. As mentioned above each class has three primary attributes they should maximise based on the role they are undertaking. The list below indicates what you should pursue based on your play preference. 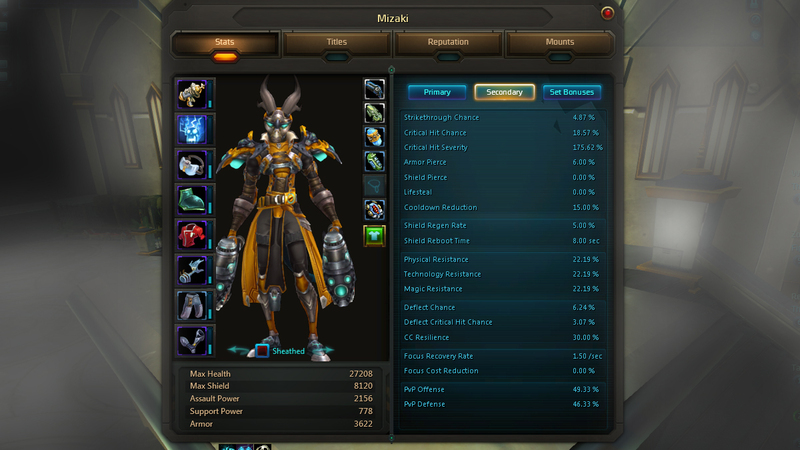 As one example, if I wanted to be a DPS Spellslinger I would focus on Finesse, Moxie and Brutality equipment. Shield Regen Rate - This is a % of your maximum shield capacity that will be returned to you in a certain period of time. Shield Reboot Time - This is the interval it takes before your shield before your shield begins to recharge. Receiving damage will reset this figure. Physical/Technology/Magic Resistance - Incoming damage based on the type is reduced by this amount. This mitigation % is based on your fighting against an equal leveled foe. In addition, it is also based on your Physical Resistance Rating and Armor Rating. 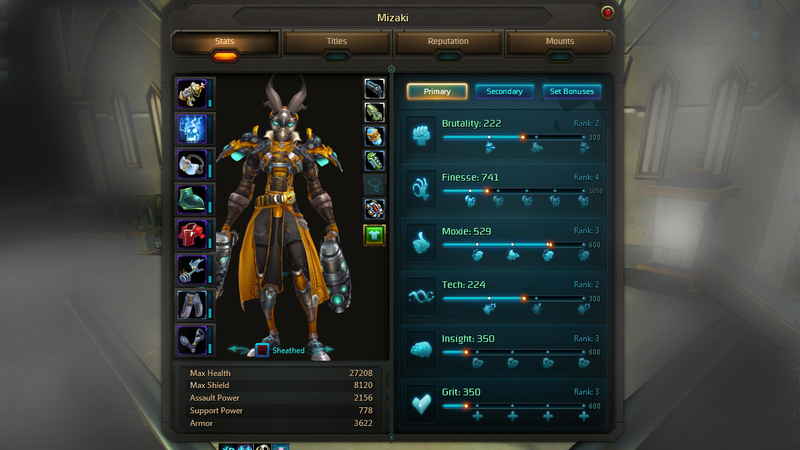 Focus Recovery Rate – This is the amount of focus you will regenerate each second while in combat. Focus Cost Reduction – The Focus cost of all your spells is reduced by this percent.